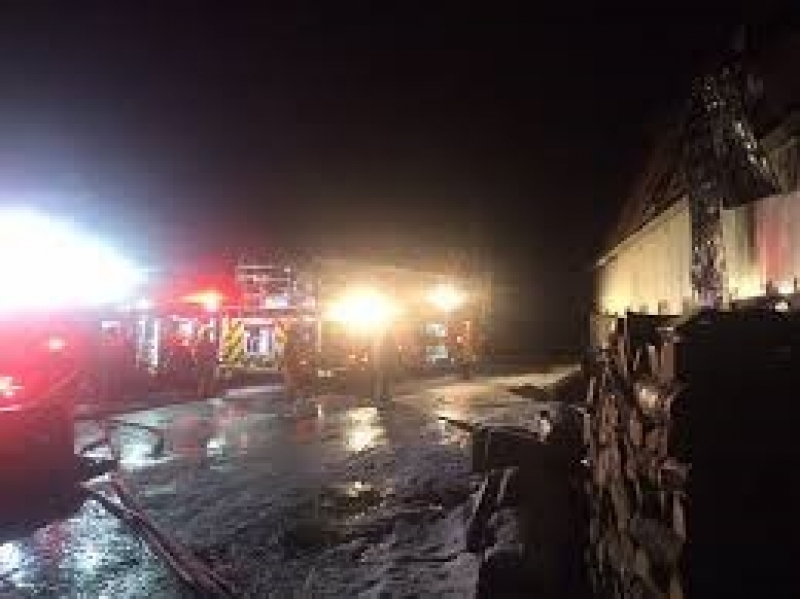 Fire damages barn in South Londonderry By Shawn Cunningham © 2016 Telegraph Publishing LLC Fire companies from 18 towns responded Sunday to a three-alarm fire in a barn on Bungalow Road off Melendy Hill Road in South Londonderry. At 5:37 p.m., the first alarm came into the Champion Fire Company in South Londonderry for a fire at the barn owned by Fergus Smith. The building — a 36 foot by 80 foot gambrel-roofed barn standing 31 feet tall — served a workshop, storage and office. 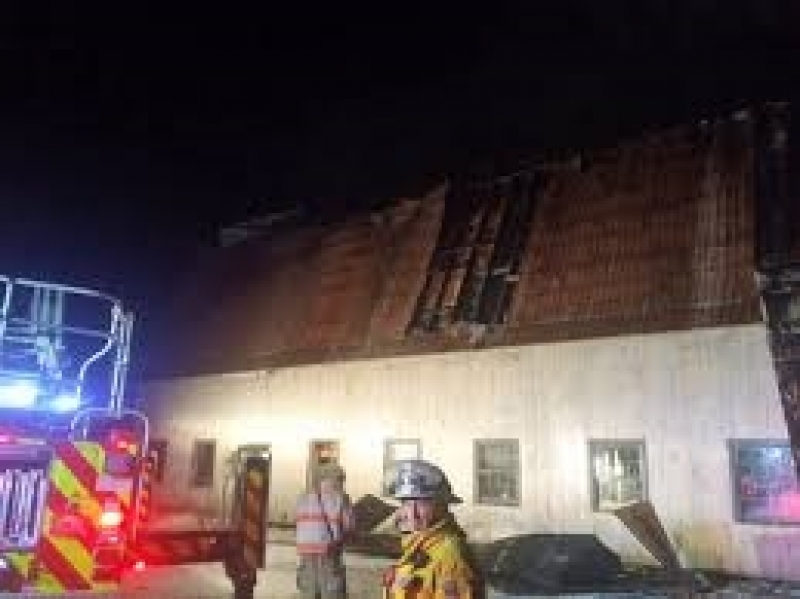 According to Deputy Fire Chief Jeff Duda, the fire started during the loading of the indoor wood furnace and was in the walls and roof of the building when the first engine arrived. A second alarm was turned in at that point with a third alarm shortly thereafter. Duda told the Telegraph that a special call was made for interior firefighting crews from Manchester. 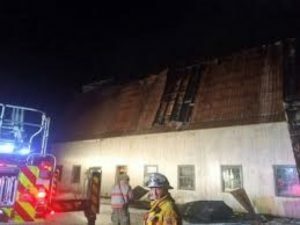 Crews were challenged by the construction of the building in which a space below the roof allowed fire to travel and the metal roof made it difficult to get to the fire. The roof could not be removed until the tower truck from Stratton arrived. Firefighters were also hampered by minor water shortages, but the third alarm brought a number of tankers to the scene. The last South Londonderry crews left the scene at 12:45 a.m. There were no injuries and the fire is considered accidental. The structure is still standing as the owner is beginning to recover items from the building. Stratton Mountain Volunteer Fire Co&period; Stratton Mountain Volunteer Fire Co.